Country Club Drift Fishing is family owned and operated. Captain Jim Barton has 40 years of experience and local knowledge on boats. Join the "Country Club" as we take you out to deep, uncharted wrecks and natural and man made reefs off Jupiter, Florida. 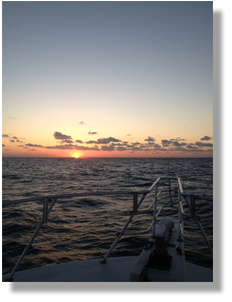 You will be fishing with the most experienced bottom fishing crew along the Palm Beach Coast . You will find that snapper, cobia, grouper, black fin tuna, porgies, kingfish, and triple tail inhabit the wrecks and reefs off Jupiter inlet. Jupiter, Florida is known for its hands on exciting drift fishing. The 44 foot custom "Country Club" boat is safe, clean, and comfortable with a full walk in bathroom on deck. We are licensed for 30 people so we are ideal for private birthday parties, company get aways, or any family/friend functions. Walk-ons are welcomed. For a great experience with no over crowding, we limit walk-on fishing trips to 6-12 people giving everyone a lot of room and minimum tangles. The vessel is licensed and inspected by the U.S. Coast Guard. The custom built "Country Club" charter boat is the only 44' fully walk around drift boat of its kind. Our crew on The Country Club is specially trained to help you land your fish and to provide you with the best advice to catch as many fish as possible. The crew of this Jupiter drift boat will also clean and bag your catch. For a great day fishing along the Southeast Florida coast come join us on the Country Club.